You must make reservations at least 5 minutes in advance of the time at Texas Jacks Barbecue. Valet parking is available to our guests Thursday-Sunday. Free street parking surrounds our restaurant on both sides of the street. 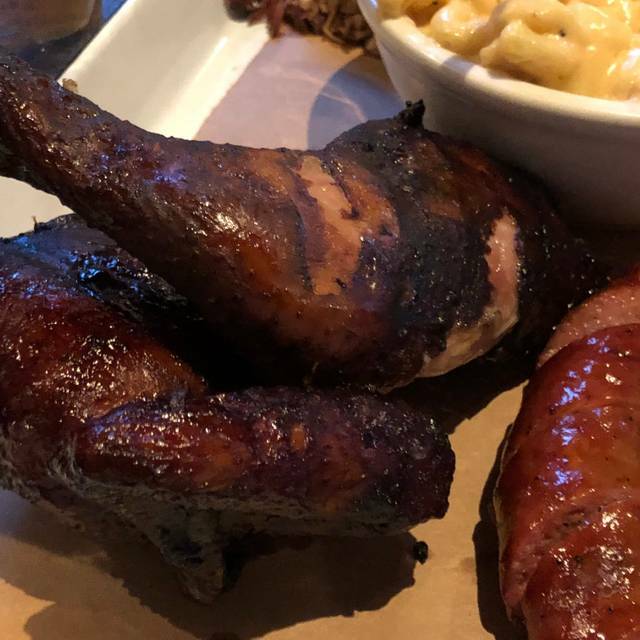 We are D.C. area's #1 rated barbecue restaurant and bar as rated by the Washington Post , located in Arlington Virginia, half a mile from the Clarendon Metro Station. 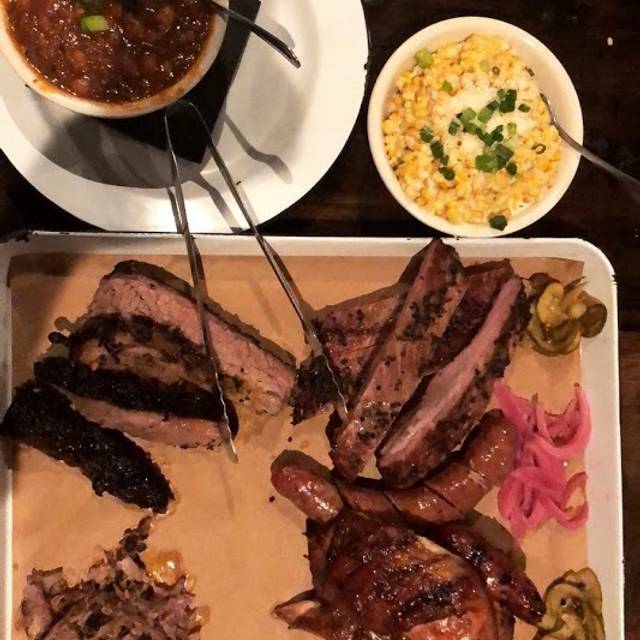 Texas Jack's offers the finest barbecue available: like beef brisket, beef short ribs, St Louis style pork ribs, pulled pork, Freebird chicken, handcrafted sausage, and sides influenced from both the German and Mexican food cultures. 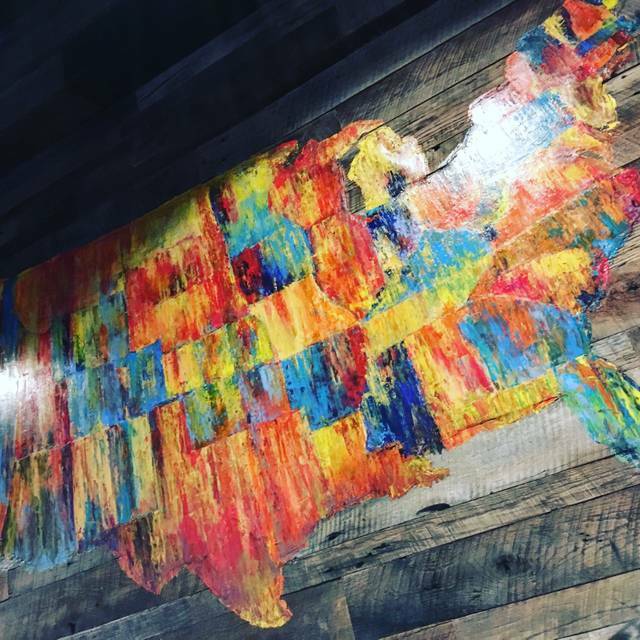 We also have a full bar with a great selection of local craft beers, mountain high whiskey selection, and creative selection of cocktails. The warm and inviting interior space is filled with reclaimed wood earth tones, handmade wooden furniture and bar, and custom bar stools covered in white and brown-spotted cowhide. Great brisket. Almost like being back in Texas. Meat Medley was half price when we visited and that was a fantastic deal. Great meal! Got the platter, which was more than enough for 4 people, but also a good value. Everyone got to try a bit of something and there were leftovers to take home. Will definitely go back! Made a reservation but still had to wait or was offered high table. Customers not diverse. Bone was in pulled pork, which probably was part of weight. Price was good. Sides (other than fries) are flavorless. Great BBQ in the neighborhood. We were in the area with a group, and found our way to Jack's Place. Very friendly waiter made great menu suggestions. We got the sampler platter, and everything was really very 'Texas Like' tasty. 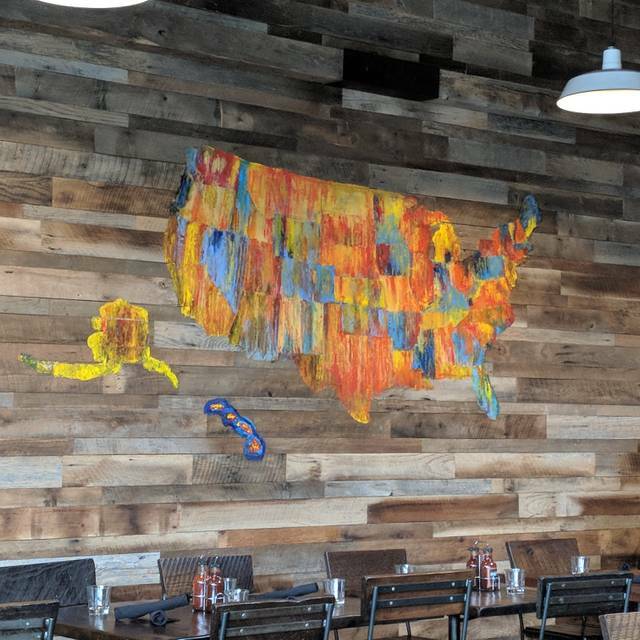 I was really disappointed that for someplace that calls itself 'Texas Jack' there was no Lone Star Flag showing - but we're willing to overlook that. Really a lot of fun. Will come back next time we are in town. Great deal on Monday: the meat sampler was great for group, also it’s price is off on Monday. Beer menu and atmosphere we’re greatly matched with BBQ! Great BBQ for the DC area...beware the beef ribs are HUGE!!! But very delicious!!! This was a really fun place. The ribs were great. So was the corn bread. We had two different small desserts and both were tasty and delicious. Plus small enough that you did not feel full or that you had overeaten. Best BBQ in DC metro area. If you like BBQ - this is the place! We were visiting DC and heard about this restaurant. Everything was delicous! Always a great time at Texas Jacks! Very good, but the ribs were not. Bad taste yet lots of meat. 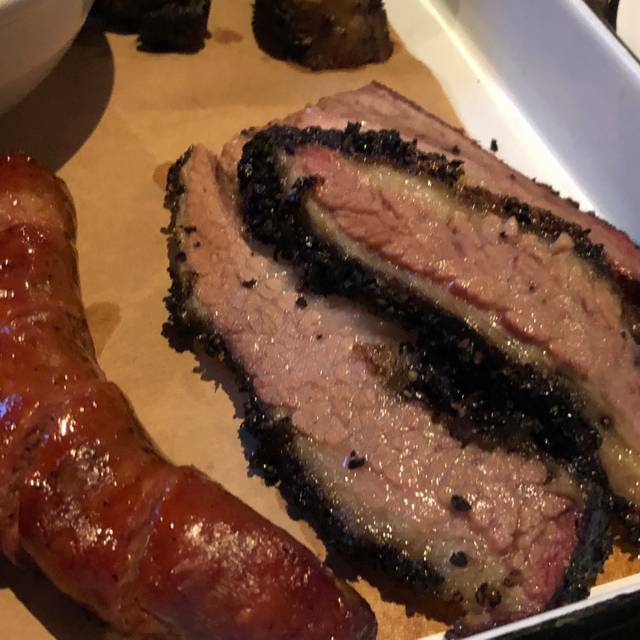 I went to Texas Jack's because my son wanted Barbecue for his birthday, and the restaurant had received fairly good reviews, so we took the drive to Arlington. When we arrived, it was fairly full, the crowd was a family-ish one, and it was not too loud. We were served water that was room temperature, no ice, from bottles that were left on the table. While I appreciated the fact that I was able to refill my water cup, the water was not cold. The meal was as cold as the water. My son's ribs were chewy, my chicken was cold, and the pulled pork and chicken were both bland. While the greens were good, they were nothing to write home about. My sons had the banana pudding for dessert, and they loved that, but nothing else. They didn't even want to take home leftovers. The service was good overall, but the food was disappointing. 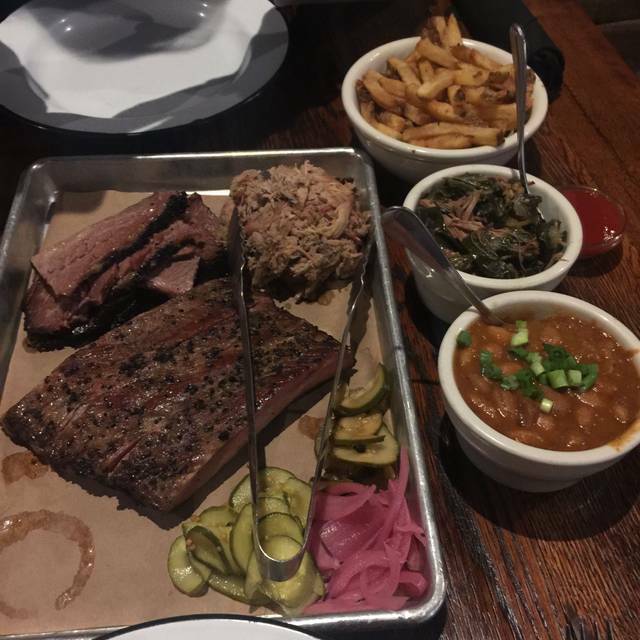 Some of the best barbecue I have had in the DC area! The meat was so moist and flavorful that no barbecue sauce was needed. The sides were great as well. The food was good but the service was terrible. We had a table inside and although, it was not crowded, we had to ask the server multiple times to hold off on giving us the check although we still had food on our plates and full drinks. I've been to Texas Jack's before and this was the worst service I've ever had. I choose to believe that we caught the restaurant on an off night. Excellent BBQ! Choice of moist or lean brisket is great. The rub used was very good. Smoked chicken was done right. A plus is local brewed beers on tap. Highly recommend. Went there for lunch, guess they dont make to order but the pork and brisket were a little dry but serving on chips with salsa guac and other toppings made it work!! Good for kids as well! What they lacked in cocktail size, they made up for in the over cooked brisket. 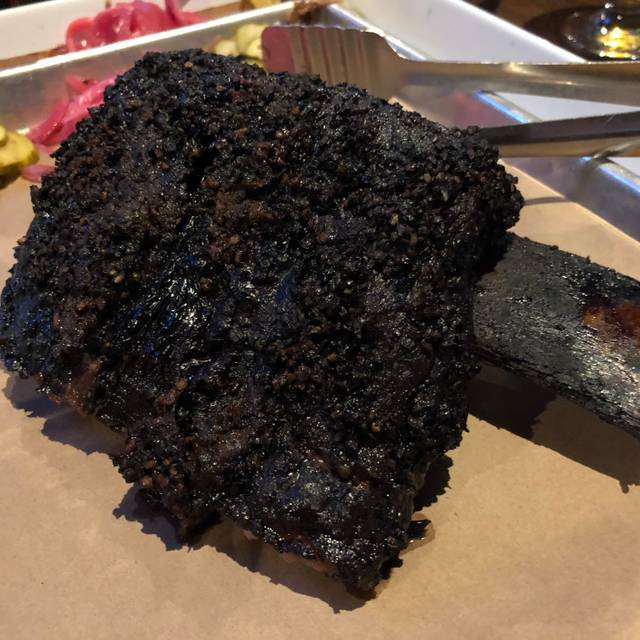 Great smoked meat.. Mediocre sides and service..
Had terrific smoked beef rib. But be warned they tell you they only have giant ribs — and mine cost $46.80 not including sides or tax. Got a side of potato salad but it was dry and bland. Service was the worst part. With my spouse out of town I got to experience the shabby way lone diners are often treated. Even though I had a reservation and there were plenty of empty tables they tried to seat me on a stool in the noisy bar. After the scowling waiter took me to a large table I pointed out I would be happy to sit at a counter looking into the kitchen. More rudeness when I wanted to take home half of my humongous rib. While they routinely pack them for carryout, the waiter offered me a box a fourth the size of the rib on the assumption I would cut off a chunk of meat and leave the rest. Phenomenal per usual! The service, food and ambiance was all great! The BBQ Sliders were delicious, the ambiance was modern, and the waitress was attentive. Fast service and very family friendly. Delicious food! Thanks! The pulled pork, smoked sausage, and brussel sprouts were spot on. The brisket was a little drier than previous visits but overall the meal was great and I will surely be back to visit in the future. I discovered Texas Jacks accidentally last month when a friend of mine looked up from his work and said "I have to stop, I thought about barbecue." That was good enough for me, and so we looked for places in the area. We settled on Jacks and ended up having an excellent time. I've since brought back a large group of friends for a family style meal, which was the right call. The service is quick, food consistently good, and price reasonable. I highly recommend the beef sausage, which is better than I could have ever expected. Great Dining Experience. Very comfortable. Great Servers! Food was excellent, but the service was lacking. Server look uninterested in being there and annoyed when we asked questions. Delicious food, attentive staff, and nice atmosphere! Very loud. Barbecue ribs very good but all sides are extra. Two cornbread muffins for $2.50 is a lot. Got some briskets, fries, and mac n Cheese. The brisket was cold and the charcoal seasoning on the lean brisket was not good at all. Mac n' Cheese was awful. tasted like powder. Fries were okay, not that great taste. Best thing there was the cornbread. That meal was just way to expensive and the quality was not that great. Better off going to liberty BBQ. Same concept, but more food for a better price. Quality is better as well. I liked the vegetarian options on the menu. While I prefer my vegetarians to have a natural plant based diet, I understand some grain must be used. Hopefully it is non-GMO type but in any case the vegetarians they served were prepared well. Some a bit tastier than others.